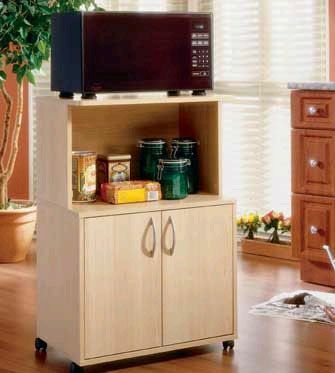 More on the Nexera Delissio Microwave Cart (With Cabinet) 599 below. Nexera's new "Delissio" collection offers simple and functional storage for any kitchen -- an easy way to keep all your cooking essentials neatly sorted and close at hand. A raised top shelf design, placing your microwave at the perfect usable height. One lower cabinet and one extra-tall, open lower shelf. 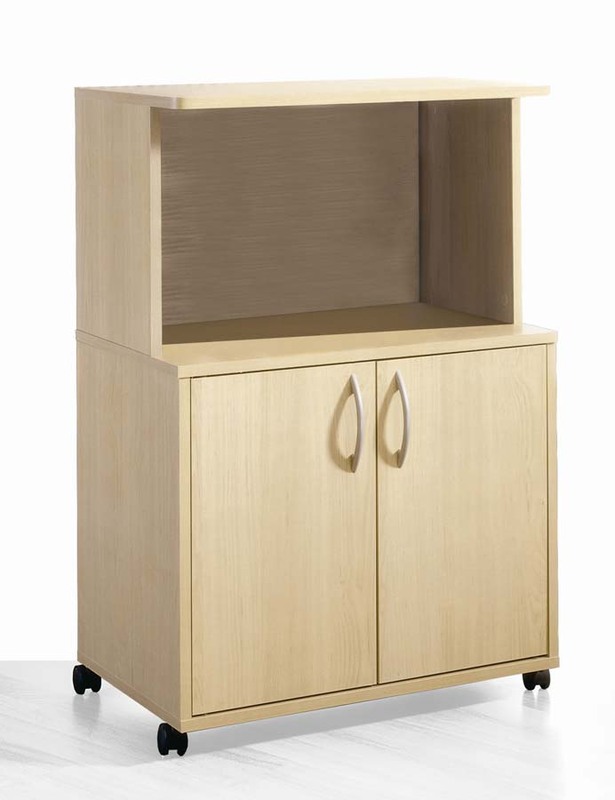 Two MDF doors for convenient, concealed and tidy storage of pantry items, cookbooks or cleaning supplies. Four dual-track casters for easy mobility on hard or carpeted flooring. Premium quality particle-board and MDF (Medium Density Fiberboard) construction. Easy assembly with all necessary hardware. *See "Related Products," below, to preview other pieces of the "Delissio" collection.